Submersible Raspberry Pi drone @Raspberry_Pi #piday #raspberrypi « Adafruit Industries – Makers, hackers, artists, designers and engineers! We found something rather fabulous on YouTube. 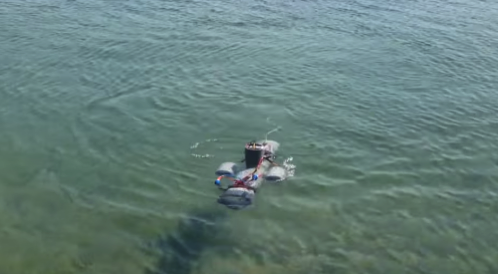 Niels Affourtit has taken his home-made underwater drone (or ROV – Remotely Operated Underwater Vehicle) from bathtub tests to real-world deployment in a great big lake somewhere in the Netherlands.